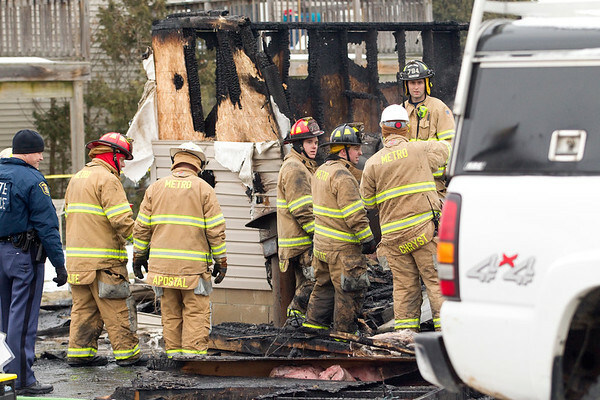 Investigators from Grand Traverse Metro Fire, Grand Traverse Sheriff's Department and the Michigan State Police comb through the remains of a structure fire on Greenwich Lane in Garfield Township on Thursday morning. Grand Traverse Metro Fire responded to the fire shortly after 4 a.m. to the fully involved fire. There was one fatality.